As was reported, American rapper Eminem is back at No. 1 on the United Kingdom's albums chart with his latest full-length Kamikaze. The musician's new studio effort arrived with no warning last Friday, and it was immediately purchased (digitally, as it's not yet available in any physical form) and streamed by millions. Kamikaze is Eminem's ninth No. 1 in the U.K.
U.S. rapper Eminem scored his ninth consecutive no. 1 in the British album charts on Friday (Sep 7) with surprise record "Kamikaze", making U.K. chart history. 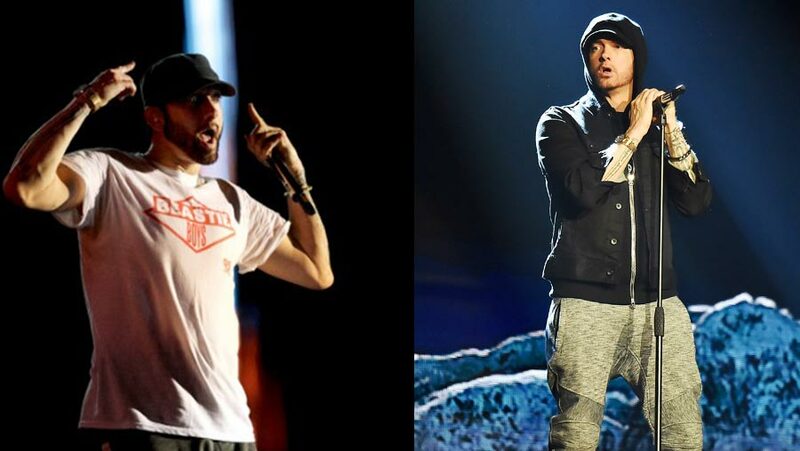 Eminem surprised fans last week when he unexpectedly dropped the album, which saw combined chart sales of 55,000 units in the past week, the Official Charts company said. "(Eminem) now has more successive Number 1s than any other act in U.K. chart history," it said in a statement. "Eminem previously shared the record with Led Zeppelin and ABBA who held it jointly for 36 years with a run of eight unbroken Number 1s apiece." The Official Charts company quoted the rapper as saying: "Does this mean I get to call myself Sir Eminem?". "Kamikaze", Eminem's 10th studio album, also looks headed for the top of the charts in the United States.